Another NFM conversion. Special thanks to RexyWood for providing me the original models in .obj format and the engine sounds. 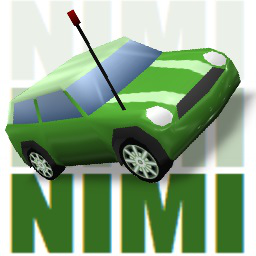 Includes an alternate skin with the NFM1 paintjob. Fully repaintable. Awesome box art by Xarc. Wheels by Cat. A very light FWD, watch out for weapons. Predictable, yet a bit slidy. Good acceleration, mediocre top end.